What is REST and Why is it called Representational State Transfer? A representation of the resource is returned (e.g., Jet747.html). The representation places the client application in a state. The result of the client traversing a hyperlink in Jet747.html is another resource is accessed. The new representation places the client application into yet another state. Thus, the client application changes (transfers) state with each resource representation –> Representational State Transfer! 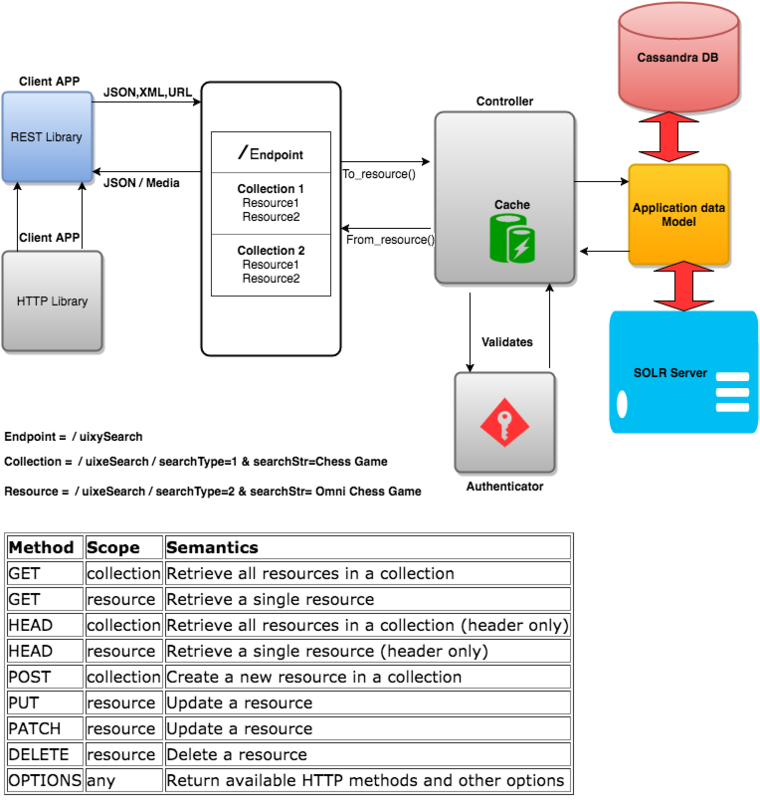 Below is one sample high level REST API design that I had designed some year back. REST’s new learner can take reference of it.